Scanned. Copy negative. 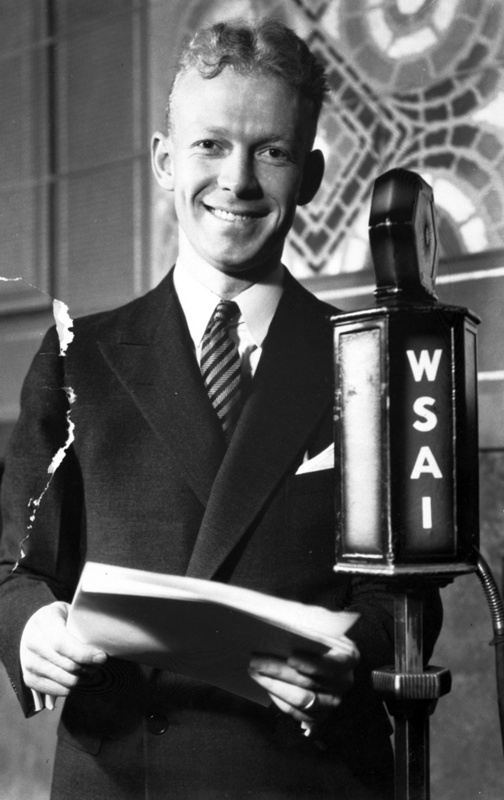 "Red" Barber standing behind the WSAI microphone. Photograph 9466 from the University Archives Photograph Collection.